It’s so much easier these days to be your own party planner. Printables have changed everything. And free printables have made things even better yet. Just print, cut and use on purchased cupcakes or cake from one of our Top 10 local bakeries and you have instant festivity. The printable DIY cupcake toppers and their matching invitations and treat bags below are all 100 percent free, and one hundred percent certain to liven up your next party. Just click the title for each to learn more or download them. 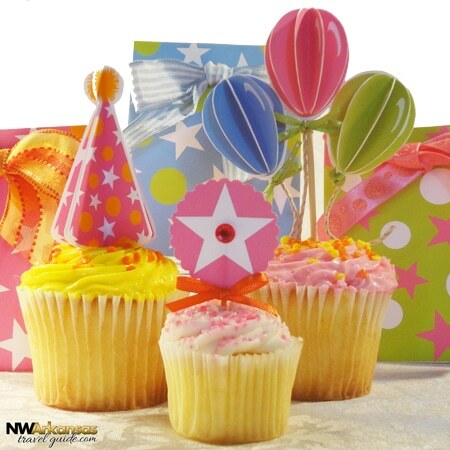 These free printable cupcake decorations and their matching treat bags are great for birthdays for either kids or adults. The bright colors and cheerful balloons, party hats and stars on the toppers can be constructed flat or as impressive 3D decorations by just folding and gluing multiple panels together. Easy-to-follow instructions are included in the zip file that contains the printables. These days girls can be anything they want–including princess for a day. 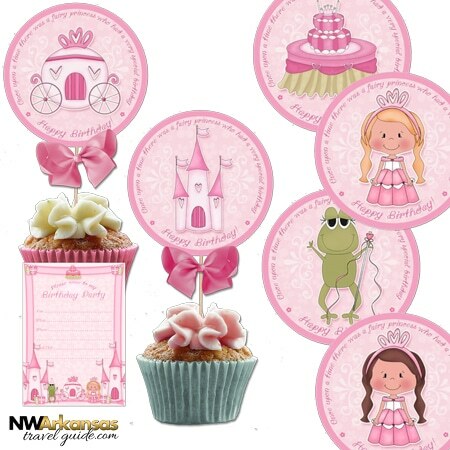 These princess cupcake picks feature three designs and two ethnicities, each with the message that the party’s special guest is as “pretty as a princess.” Just follow the light-colored outline around each printable topper to make them cupcake-ready. These also come with a matching free printable invitation. 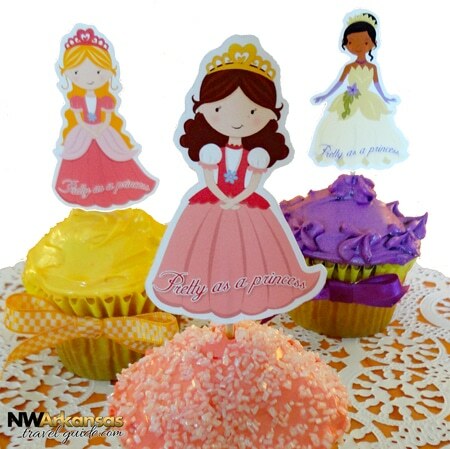 This coordinated set of six circular princess-themed toppers can make a little girl feel like the leader of the realm for her special day. These are easily made using a circle cutter and they can be used as table scatters and treat bag seals too. 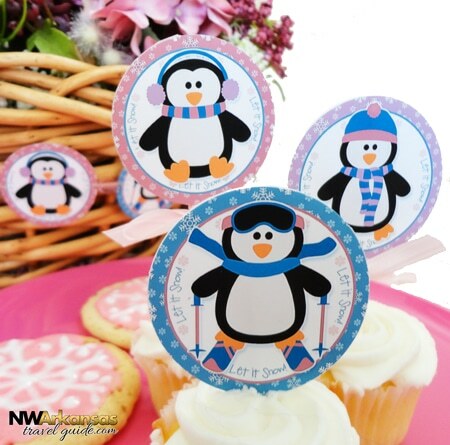 There’s a matching invitation that features all the same fun images included in the toppers. Snowing outside? Why fight it. Just celebrate the weather with these cheerful penguins who have made an art out of enjoying the snow. These are great for any occasion or any time you want a winter pick-me-up. Owls are popular now and probably always will be. And they make a great accompaniment to many party types, not just birthdays. 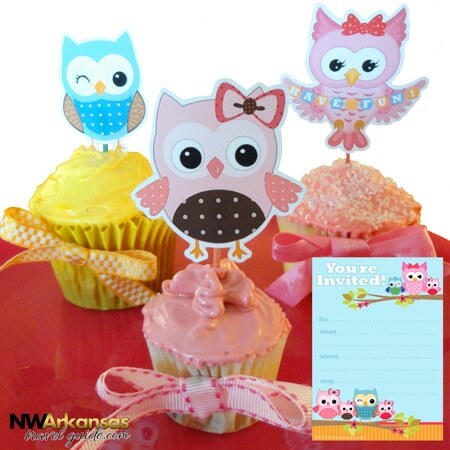 Just cut around the light line surrounding the toppers and you have owl cupcakes that will make your guests smile. There’s also a matching invitation that features oodles of owls inviting your guests to your party. 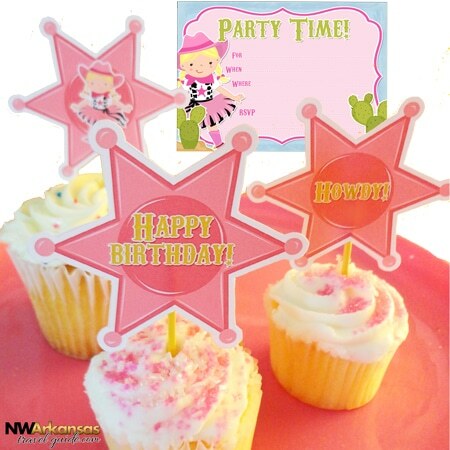 These cute pink cowgirl-themed sheriff’s badge cupcake picks let your little girl be sheriff for her special day. The badges also can be strung together to make a fun banner for a mantlepiece or window. And they come with a matching invitation so she can rustle up all her friends and invite them to her party. 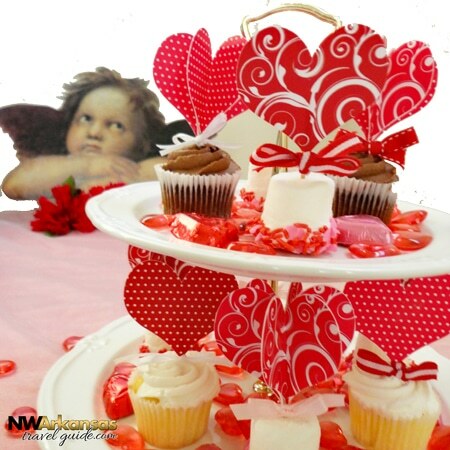 These red heart cupcake decorations are so versatile. Their two designs can be created flat or in 3D, using the polka dot and swirl patterns to mix and match. They’re also useful because although they’re perfect for Valentine’s Day, they’re also suitable for bridal showers, weddings, birthdays and more. 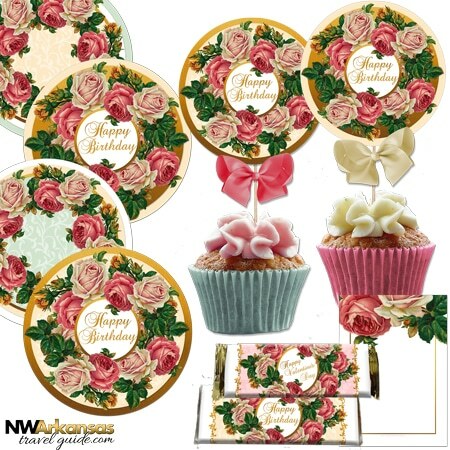 Although these pretty vintage rose designs feature birthdays, there are also two designs included that have no message, so they can be used for any occasion. They also come with a matching invitation and birthday and Valentine’s Day candy bar wrappers in three sizes each. These vintage flower heart-shaped DIY cupcake picks are obviously perfect for Valentine’s Day but they also work for birthdays, anniversaries, bridal showers, retirement and more. 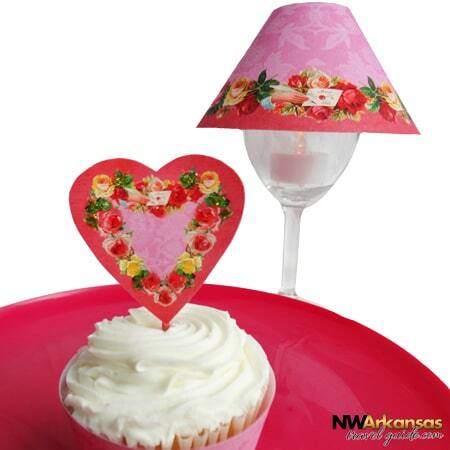 And they also have a matching wineglass lampshade that’s easy to make. Both together will create a classy look for your party. 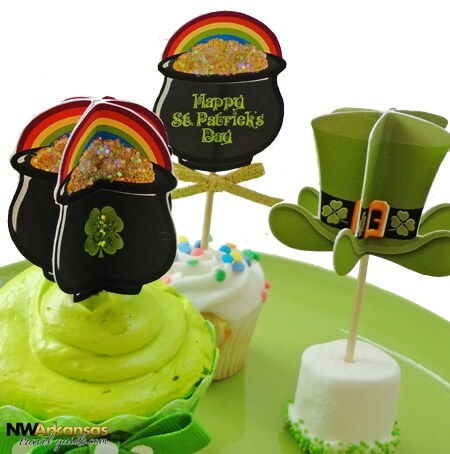 These fun St. Patrick’s Day toppers can be used flat or in 3D. The addition of some optional gold glitter for the coins will further dress them up and make them festive. Make sure to seal the glitter with something like ModPodge before using them on food though!